The near-complete 1.5m skeleton of a prehistoric ichthyosaur has been discovered near Charmouth, Dorset. 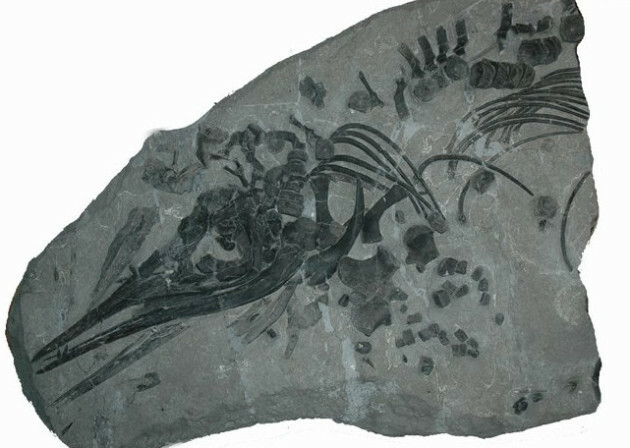 The fossil of the dolphin-like marine reptile was discovered after storms partially uncovered the specimen as coastal cliffs in the area gave way to the elements. The skeleton took over eight hours to excavate and is one of only a few ichthyosaur fossils to have been found in such a complete condition in the region over the past 10 years.